Smoke and Iron opens with our group of rebels split up in different directions after the events of Ash and Quill and the subsequent betrayal by the Brightwell family. Jess, who has assumed the guise of his twin brother Brendan, has put himself right in the thick of things in Alexandria with the Archivist—hoping to glean what information he can in order to bring down the rot within the Library—while he’s seemingly also returned Morgan to the Iron Tower and had Scholar Wolfe thrown in prison. Meanwhile, the rest of our group is captured aboard a smuggler vessel themselves waiting to reach Alexandria to be turned over to the Archivist. Of course, no one is going down without a fight, and the battle for the Library is just beginning. Smoke and Iron feels like the setting up of a game almost. Getting all the pieces set into place before the “fight” starts. I absolutely loved that this time around, with all of our characters split in different places, that Rachel Caine decided it was time to get other characters’ perspectives aside from Jess. I lamented about this very thing in my review of Ash and Quill, and honestly, I don’t think this book could have worked half as well otherwise because we are truly beyond the point where only Jess’s point of view is sufficient. Plus, there’s the fact that these characters are all so rich and interesting. Wolfe and Santi continue to be my favorite couple in this series. I could read an entire book from their perspective alone. But then you throw in Kalilah whose cool-headedness and thoughtfulness makes people stop and listen to what she has to say instead of brushing her off as some hot-headed rebel. These are characteristics that Jess has seen from these people he calls friends, but I truly loved getting their side of things. 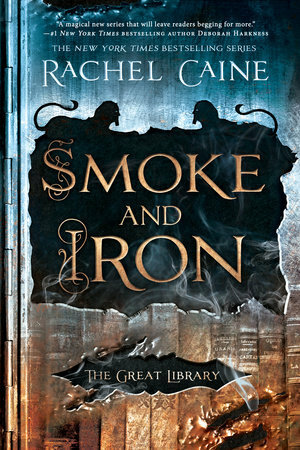 I’m hoping Rachel Caine continues to use multiple points of view in the next book as well. Even though this book spends an inordinately amount of time setting things in place, there’s also quite a lot of game-changers that happen by the end. While I initially found it difficult to pick up this book and begin reading, once I did, I didn’t want to put it down again. With the number of times I’ve guessed where the story was going and been wrong, I’m loathe to even attempt to do so again, but the fight is not yet over for those who want to preserve the Library and all its glory. I’ve been impressed with this series from the very first book, and Rachel Caine continues to surprise me as I read and see the story unfold with all its unexpected twists and turns. Next year can’t come soon enough.